Not too long ago, Safaricom ushered in a new philosophy under the tagline Twaweza, under which it shows commitment to coming down to the people and working more with the strengths of togetherness. Towards this, Safaricom is already working with communities in sports, healthcare, wildlife conservation and music to name a few. Twaweza simply means that when communities come together, great thing happen. One example of the Twaweza Spirit is Safaricom Jazz which recently celebrated 5 years since its first show in Kasarani in 2014. As we may all know by now, all proceeds of Safaricom Jazz go to help children of Ghetto Classics in Korogocho, picking musical talents right from the grassroots. Other than contributing to the discovery and growth of music in Korogocho and recently other areas, the festival has also over the years brought to light so many Kenyan bands who may never have been discovered. Many them have gone ahead to share a stage with the visiting international stars, giving them wider audience even outside the country. Some of my favourite Kenyan bands that I discovered through the festival are Edward Parseen and Different Faces and Nairobi Horns. Another example of togetherness is SKIZA, a personalized ring-back tone service that allows you to download a tune to be listened to by your callers as they wait for you to pick your phone. Through the SKIZA platform, Safaricom provides a forum for the Kenyan music community to sell their music and to reach the company’s over 29 Million subscribers. SKIZA came about 16 years ago and over the years, the platform has garnered millions of users and thousands of tunes. Other than the selling music, SKIZA is also empowering artists with free legal knowledge surrounding copyright and entertainment law – something crucial so that musicians understand their position, and their hard earned money does not fall in the wrong hands due to lack of knowledge on their part. One such empowerment summit was held recently at Carnivore Grounds and was attended by hundreds of artists, not just from Nairobi but from the surroundings too. And there’s no forgetting the Groove Awards, a Safaricom initiative that is meant to recognize, celebrate and award the artists in the Gospel music industry in the country. The awards also help fans to discover new musicians that they may not have known before, as well as to celebrate their favourite ones. There are many other ways in which Safaricom works with communities to foster the togetherness spirit, including in sports with programs like the Athletics series, as well as the currently running Chapa Dimba among others. Although this is sports related, Chapa Dimba also promotes artists since local musicians get to perform at regional finals. To think of it, Safaricom has always been quite synonymous with music and musicians, every since the days of Niko Na Safaricom Live. 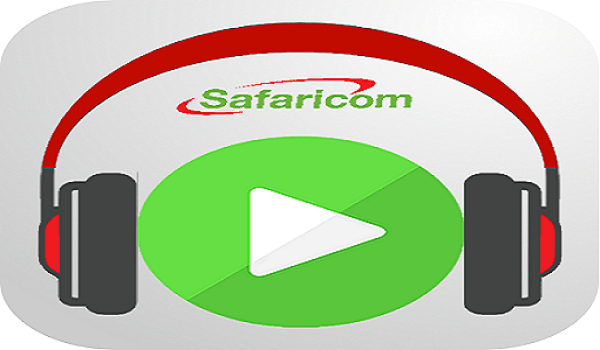 Just the other day, the company launched Safaricom Songa, a music streaming service that will also allow artistes to expose and sell their music.